If you are looking for a hedge trimmer that can provide you high-quality craftsmanship and a rugged dependable design, then look no further than the Little Wonder 30" Electric 2-Sided Hedge Trimmer Shears. 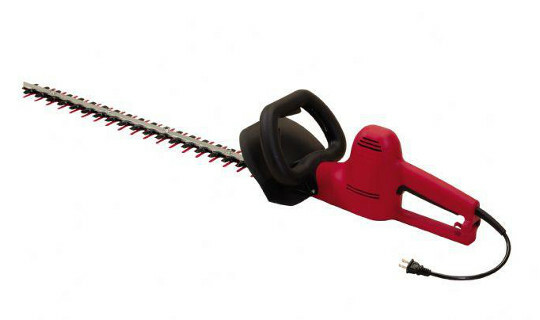 These trimmers have been the choice of landscaping professionals for decades. The blades last longer and require less sharpening than blades typically found on the lower-priced homeowner-grade hedge trimmers. These lightweight, designed-for-comfort electric hedge trimmers feature double reciprocating blades for faster, fatigue-free trimming and sculpting. Blades are stamped, through-hardened carbon tool steel to maintain a sharp edge longer than other steel blades.